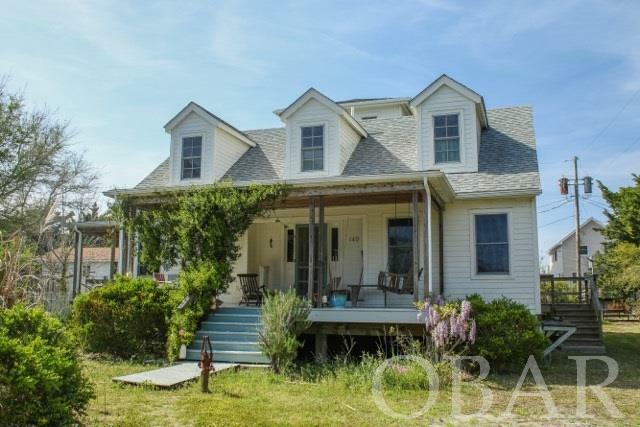 140 Lighthouse Road, Ocracoke, NC.| MLS# 100111 | Outer Banks Homes For Sale, North Carolina Home Search Including Nags Head, Pirates Cove, Manteo, Kill Devil Hills Kitty Hawk, Southern Shores, Duck, and Corolla North Carolina, Oceanfront and Soundfront properties for sale and long term rentals. 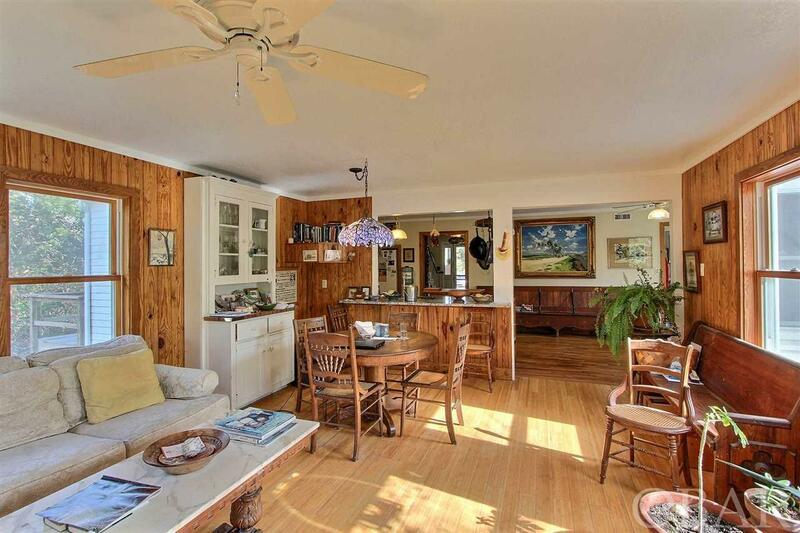 Windmill Ridge House was repositioned in 2003 to the rear of the large lot. 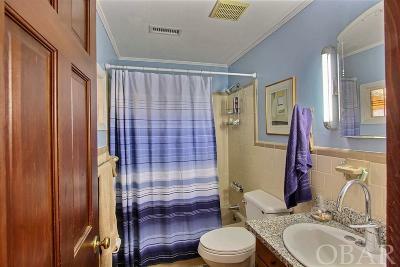 At that time it was raised and extensively renovated, which included a 16 X 20, three story addition. 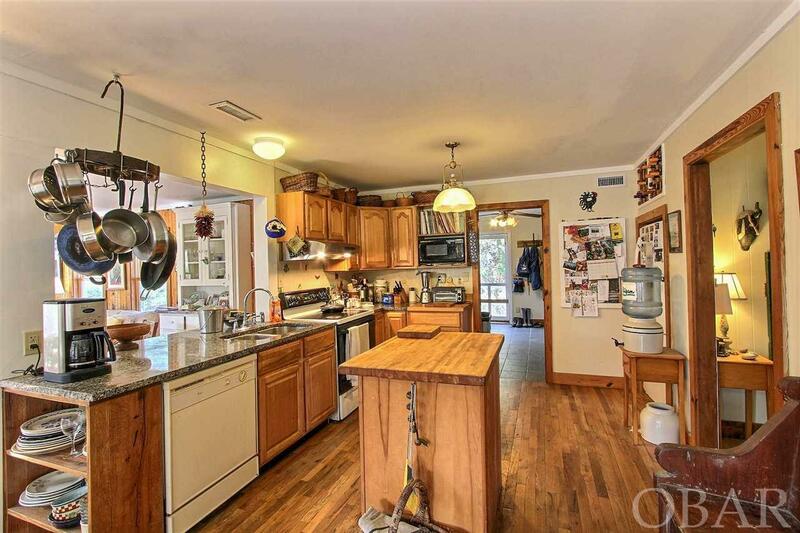 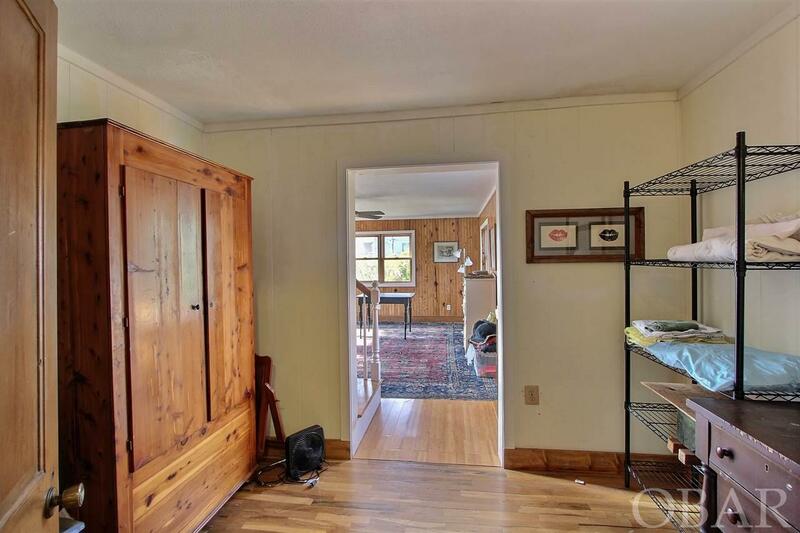 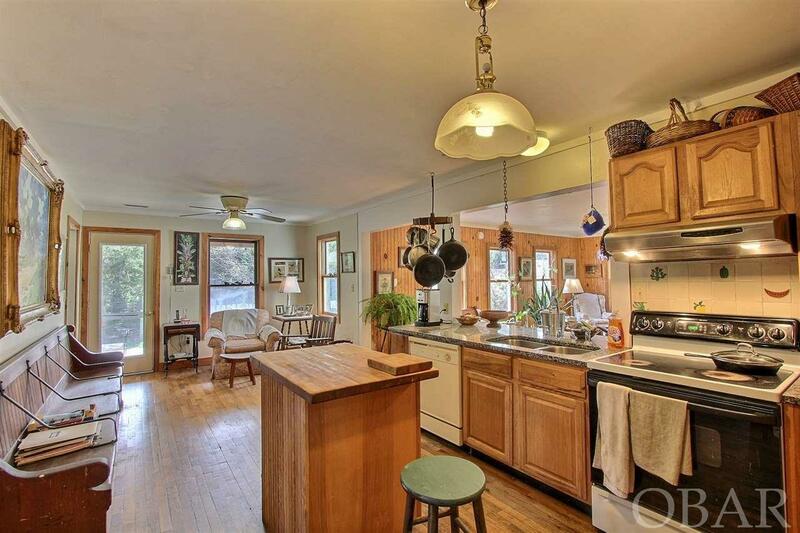 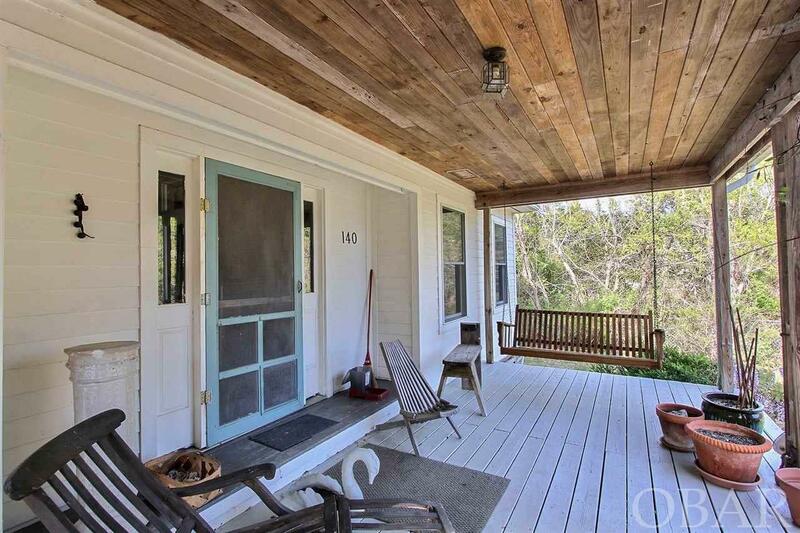 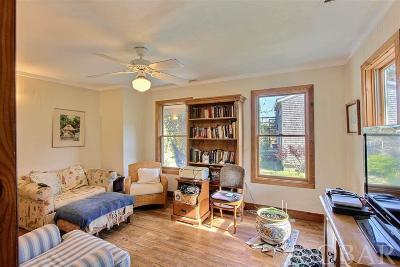 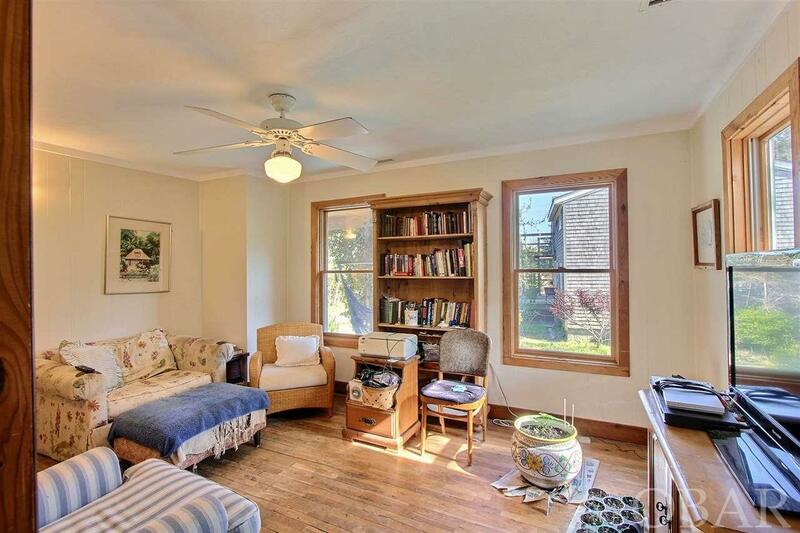 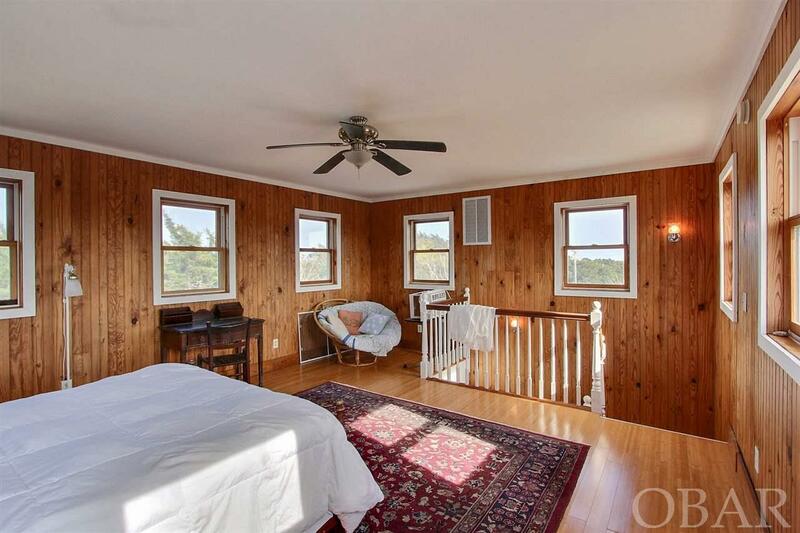 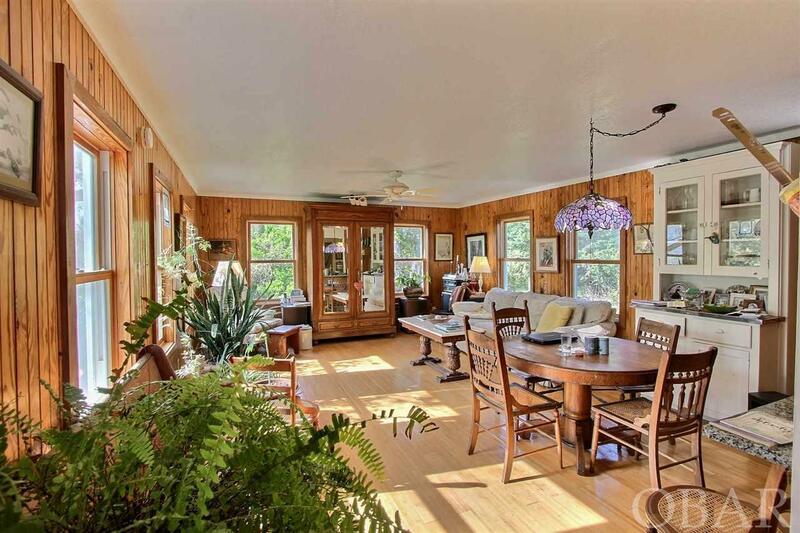 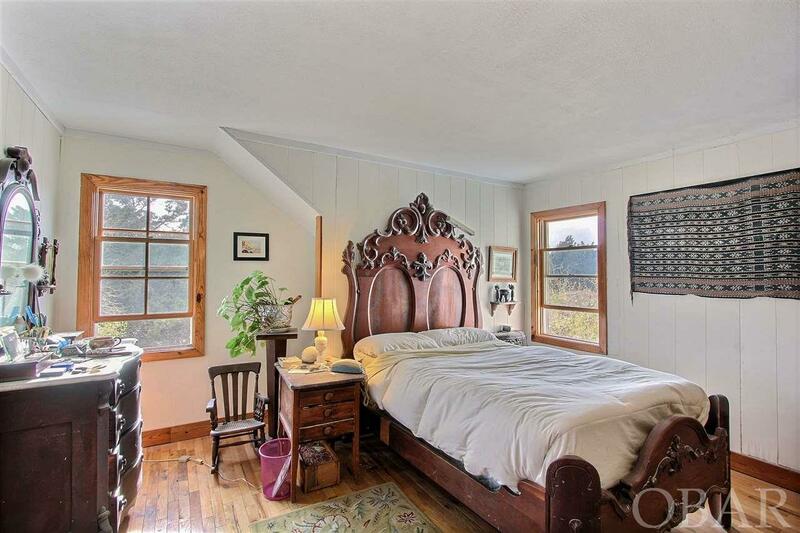 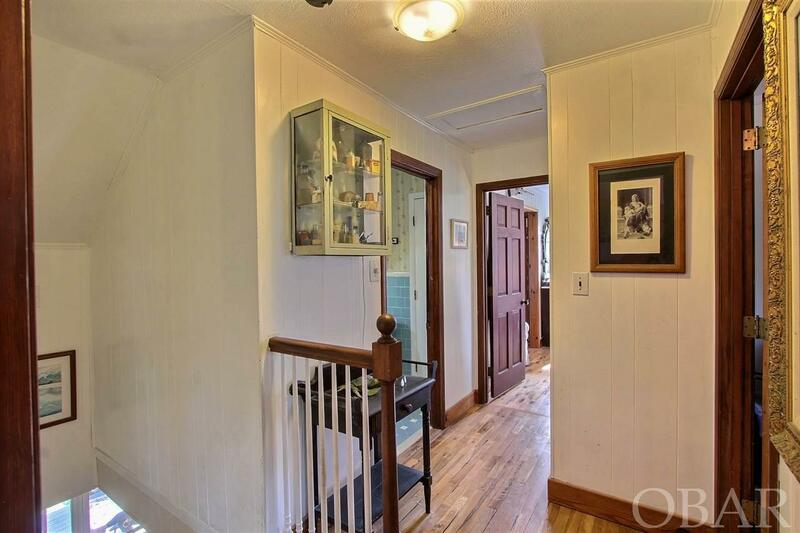 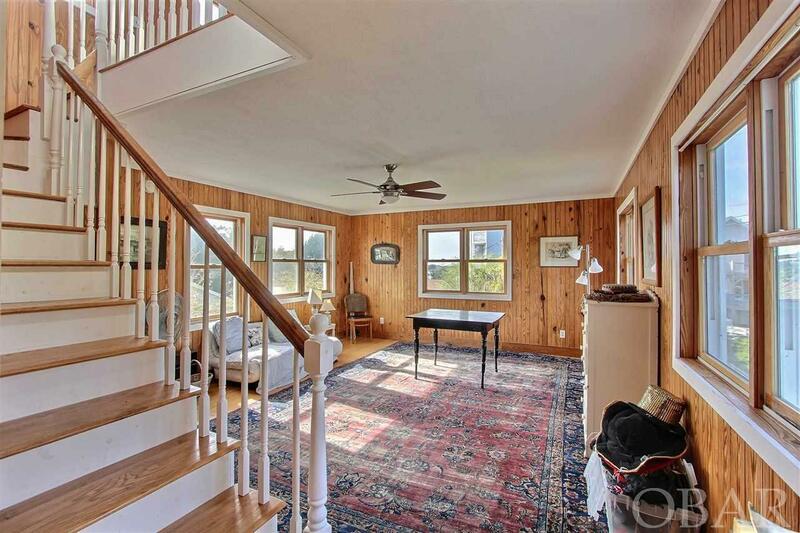 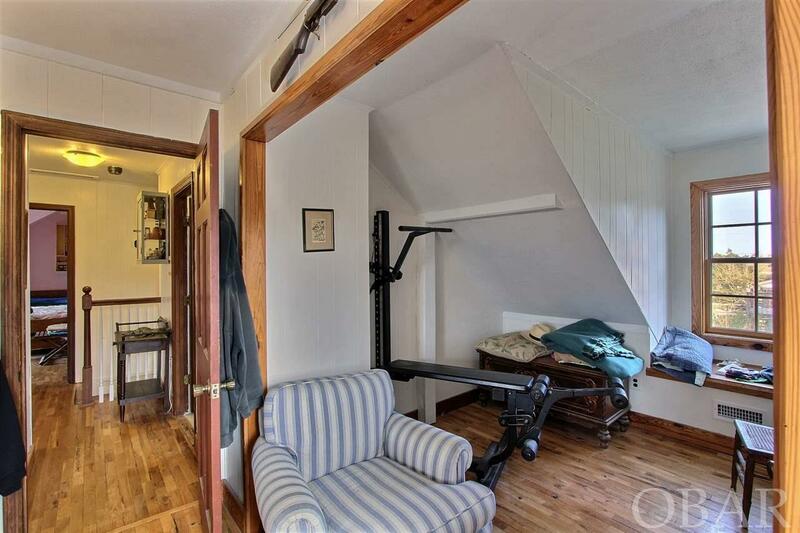 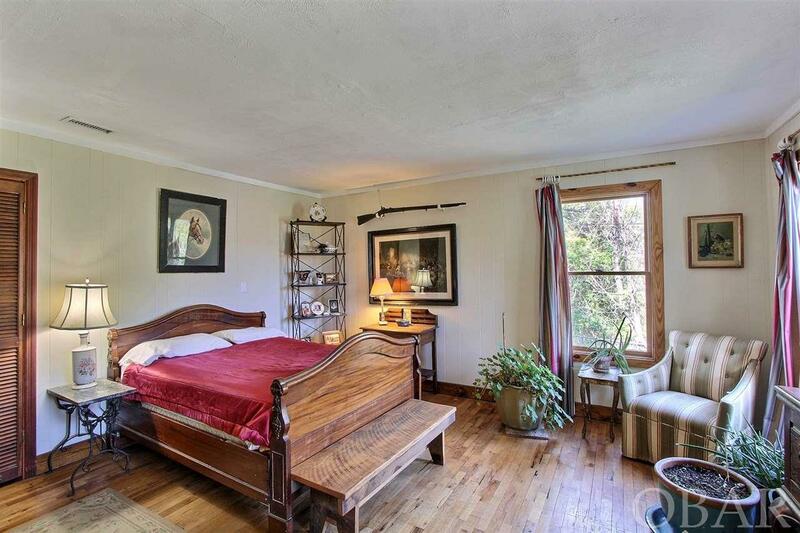 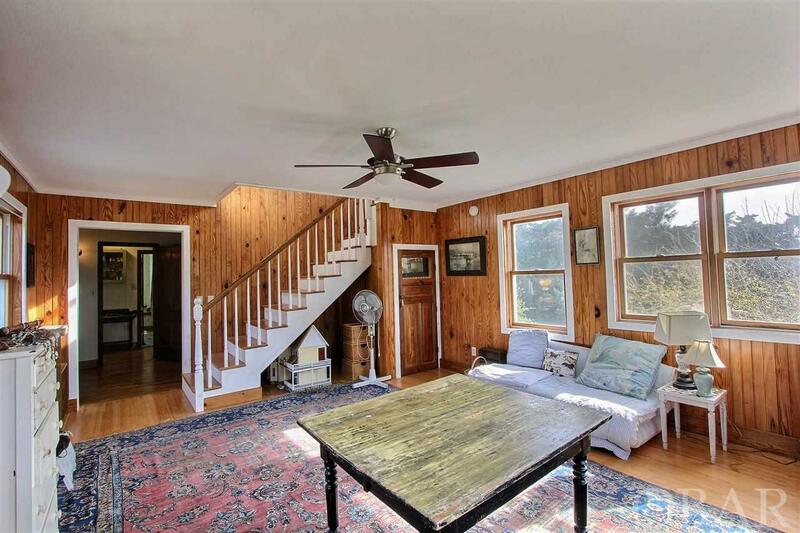 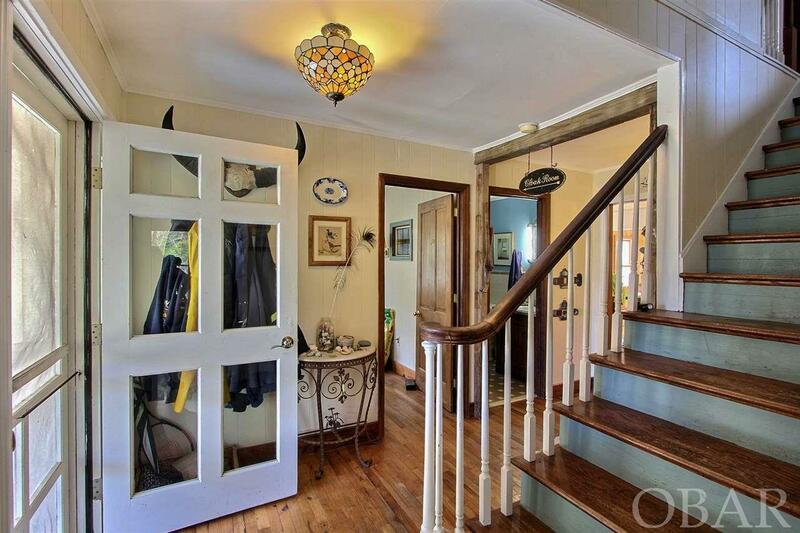 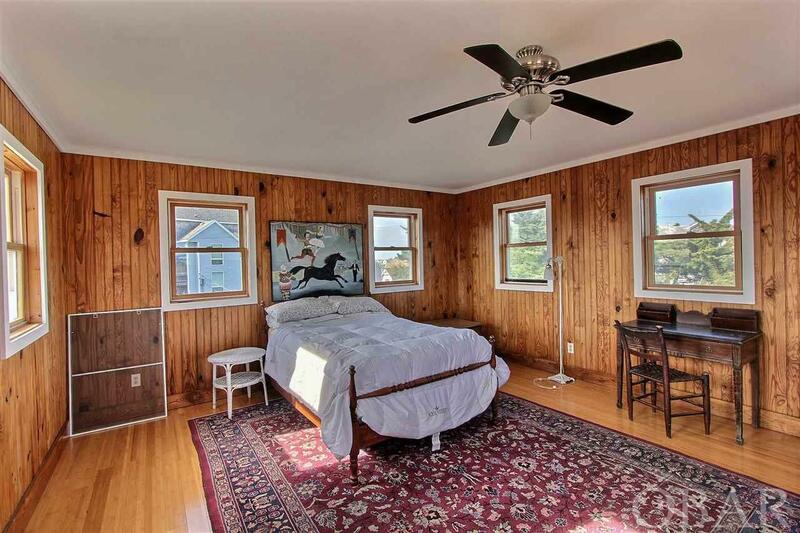 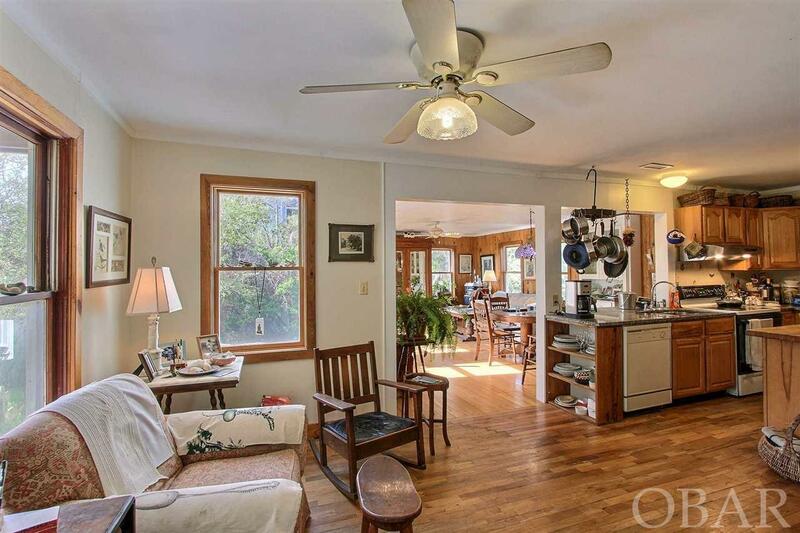 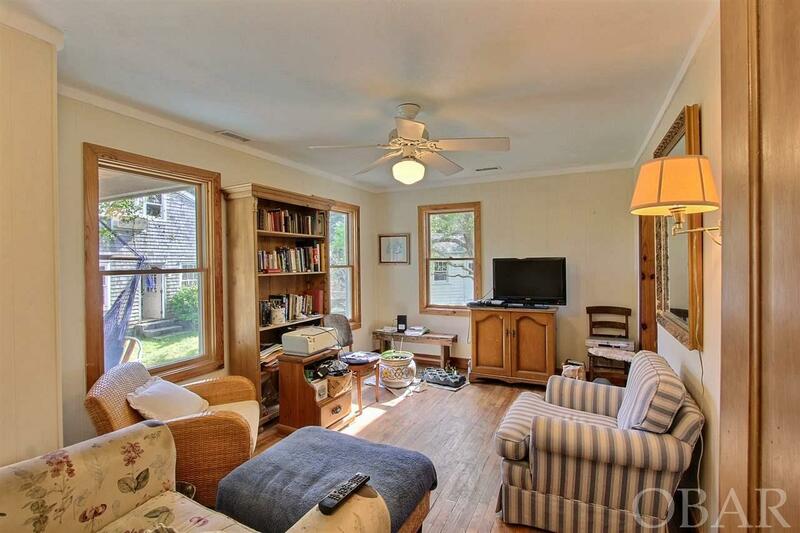 This home is full of custom wood work and many windows for a very inviting space. 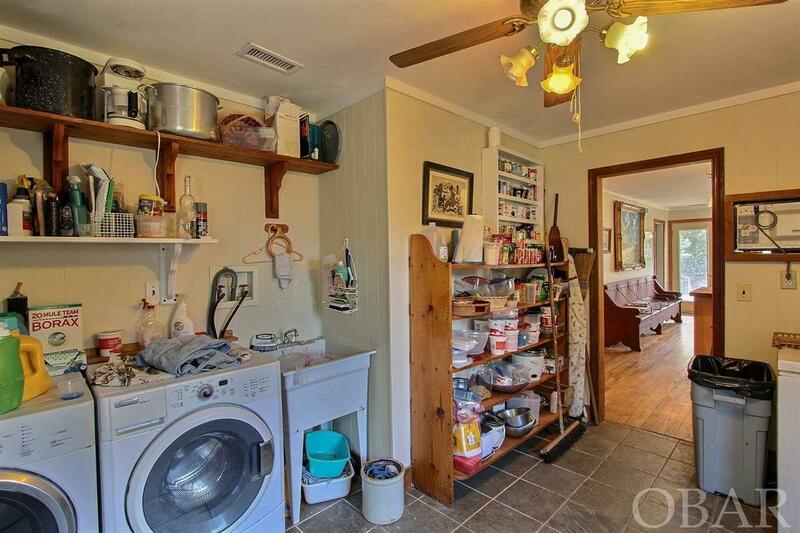 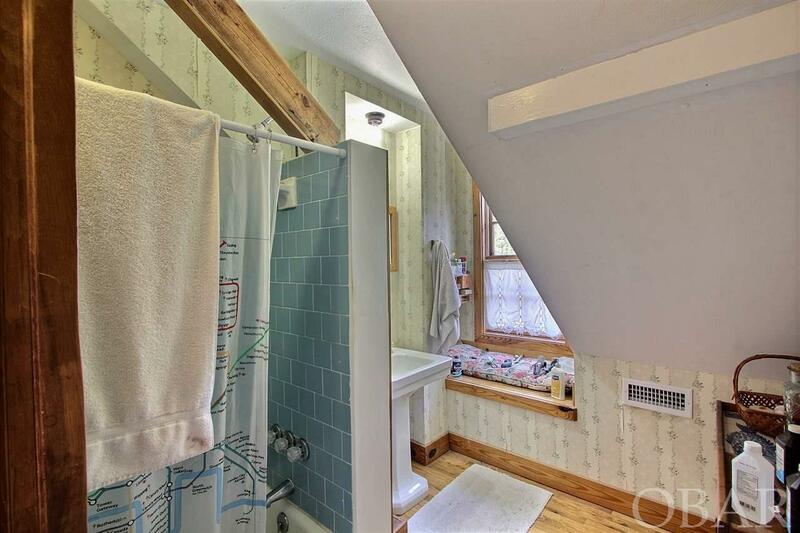 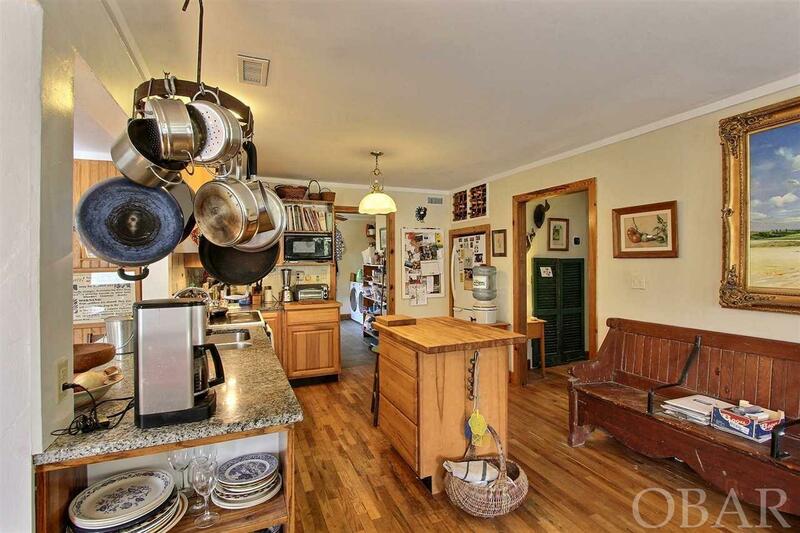 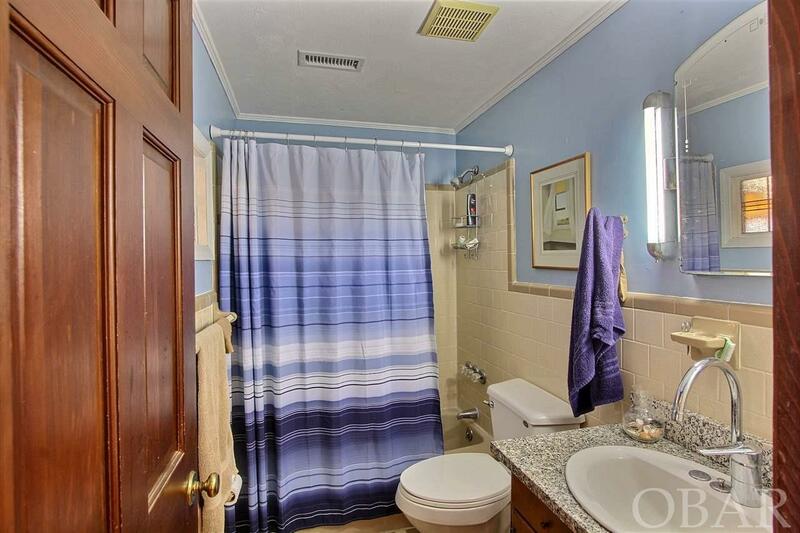 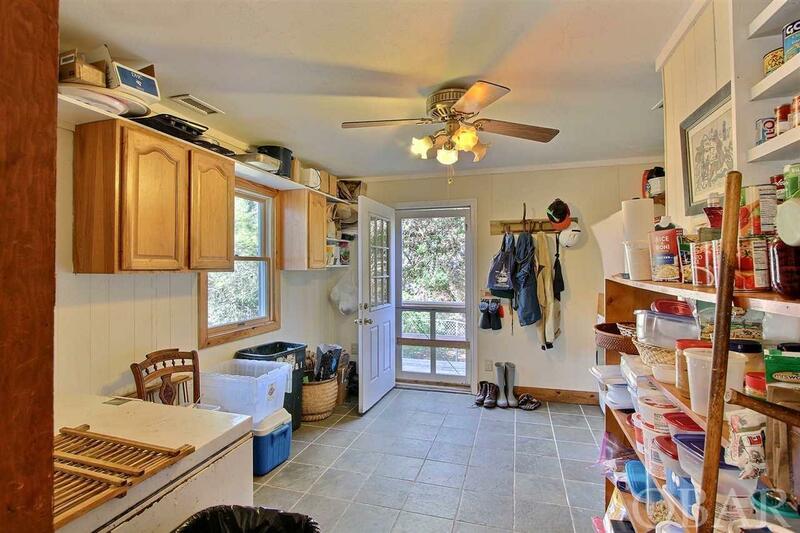 Convenient to the Kitchen is a large utility / laundry room with a separate entry door to simplify tasks. 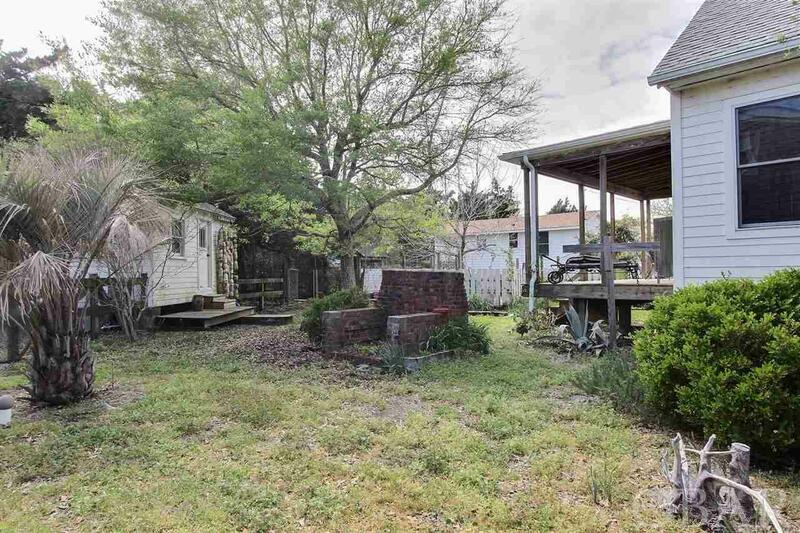 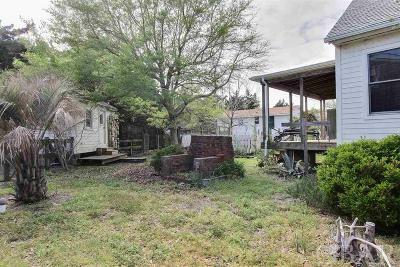 Located in the side yard is a lovely brick fireplace for cooler evenings and outdoor fun. There are many beautiful flowering bushes around the property as well as a small garden area. 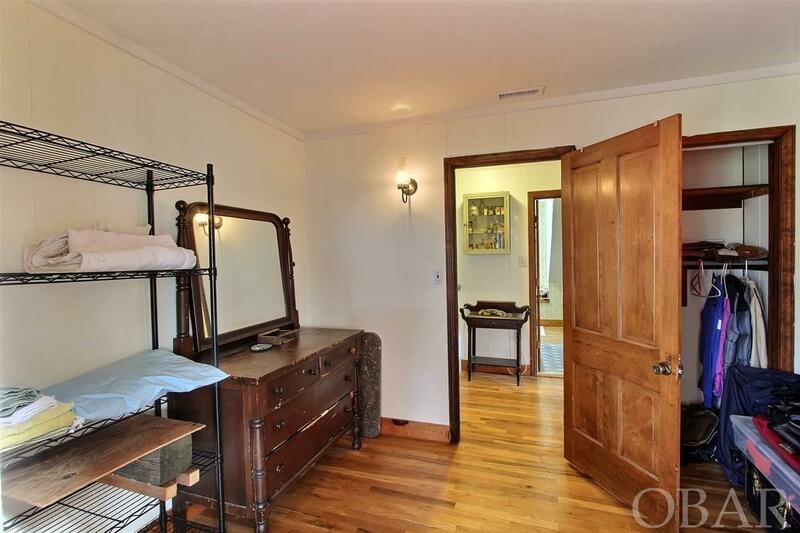 Last, but not least, is a 10 X 15 storage shed with electricity for a quite studio if you opt to do so. 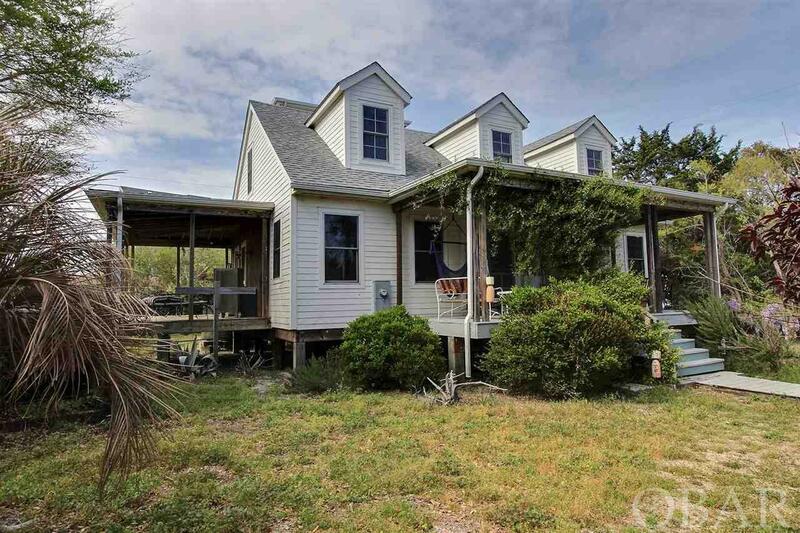 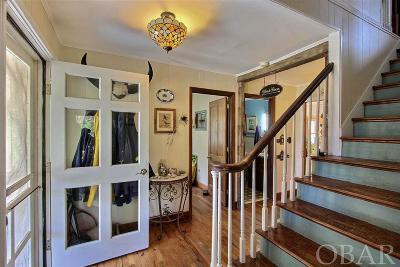 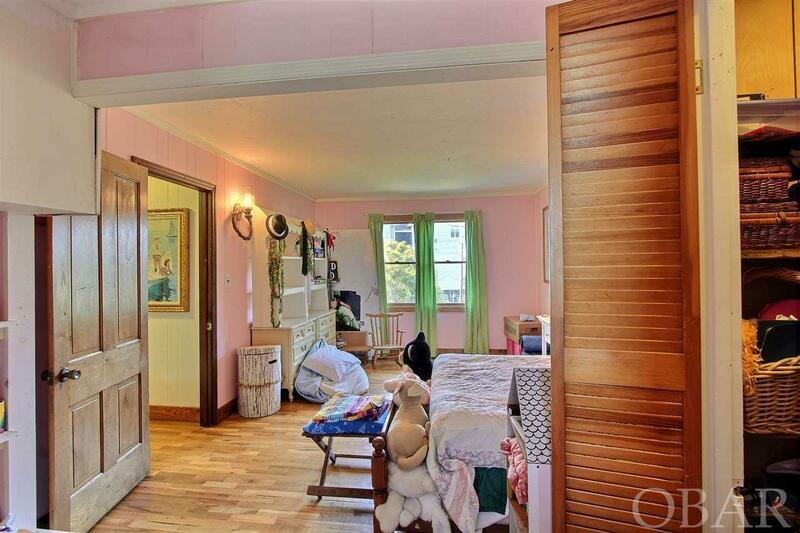 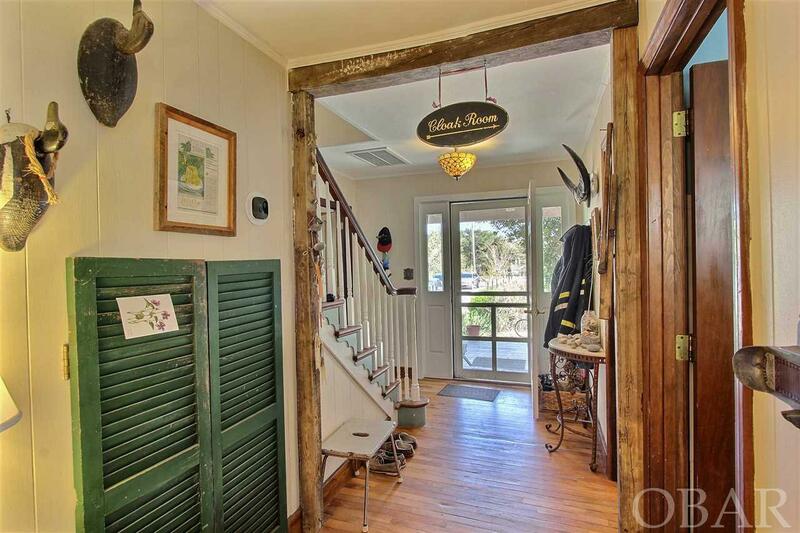 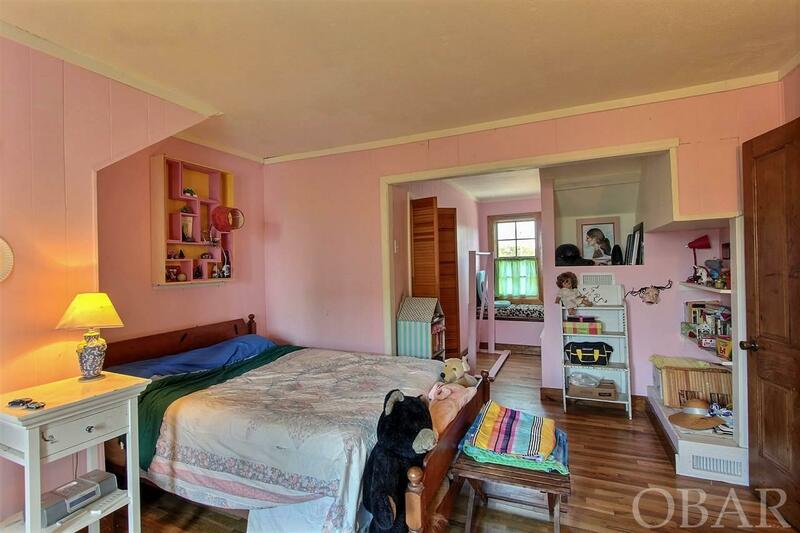 This is truly a unique home, just like Ocracoke.